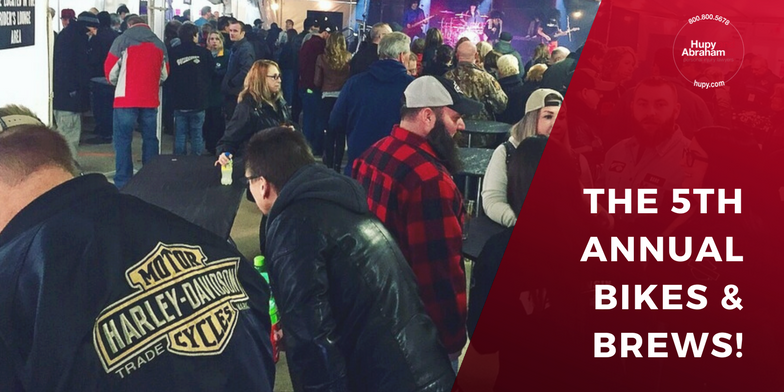 "Bikes and Brews" - The Perfect Spring Kickoff | Hupy and Abraham, S.C.
We had a blast at Wisconsin Harley-Davidson’s Bikes and Brews this past weekend! It might still be cold out, but the 5th Annual Bikes and Brews kicked off riding season this past Saturday in style! 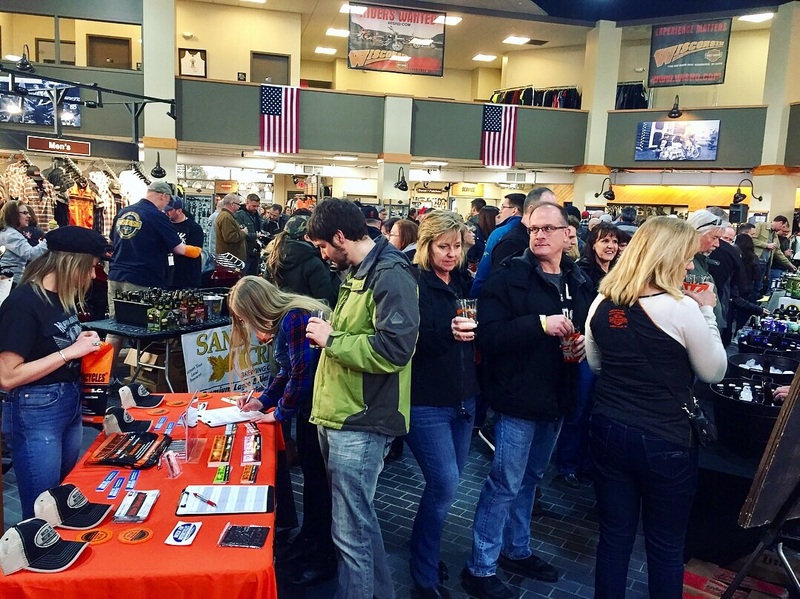 Over 200 different types of beers, sodas and hard ciders were available in two sampling areas as vendors came to the Oconomowoc dealership to offer good brews for a great cause. Every year, Wisconsin Harley-Davidson hosts their Bikes and Brews to benefit the Stars and Stripes Honor Flight. Ticket purchase included a commemorative pint glass for sampling, access to all the unique beers, sodas and ciders you’d like, and a food ticket good for one of the fantastic on-site brats and chips dinners. Great music was also pumping throughout the night in Wisconsin Harley-Davidson’s on-site heated event tent. Patrons enjoyed live music from the “indoor” stage, while they munched on a pretzel necklace or lounged in the comfortable VIP area (tickets had to be bought in advance). If you missed Bikes and Brews this year, be sure to catch it next time! And don’t forget to swing by the Hupy and Abraham booth at this or any great event during the season to get your FREE “Watch for Motorcycles” sticker and hat!